In one of the most upcoming and trendy shopping centres in the Western Suburbs you can find one of the best Italian restaurants! Especially for those of us living in the Western Suburbs, who don't want to travel to find decent restaurants. Rouse Hill Town Centre is home to many restaurants and shops which will suit everyone's taste palette. On the main strip you will find a selection of restaurants, on the corner right opposite Reading Cinemas is Lusso Italian Restaurant. If you are looking for an awesome night out with a great atmosphere and delicious food using good quality Italian ingredients than Lusso should be your next choice. Lusso Italian Restaurant is your little slice of Italy in the Western Suburbs, offering casual family and couples dining, to suit every occasion. Seating is indoors and outdoors, and outdoor heaters are around tables outside during those chilly winter nights. The menu for Lusso offers a large selection of delicious woodfire pizzas, pastas, a set of entrees, a selection of mains, side orders, steaks, seafood, breads and salads, and for the kids there is a kids menu. All the pizzas and pastas can be ordered for takeaway. 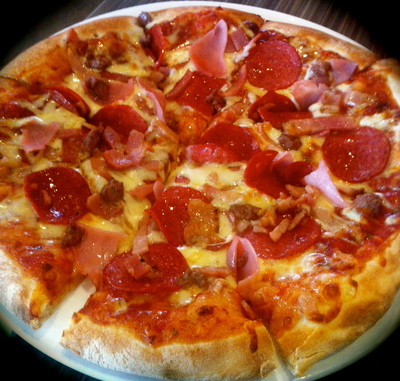 In terms of pizzas, Lusso offers all your traditional style pizzas such as BBQ meatlovers, hawaiian, vegetarian, margarita, supreme and pepperoni, as well as a selection of top quality gourmet pizzas as well. Pasta dishes served include canneloni, bolognese, penne, boscaiola, marinara, lasagna, gnocci and many more. Main meals include chicken and veal schnitzel and parmigiana, chicken avocado, risotto and a selection of steaks cooked the way you like it. You also have the choice of your traditional sides such as bruschetta and garlic bread as well as salad options also. Seafood options are also available. Your kids meals include chicken nuggets and chips, spaghetti bolognese or fish and chips. There is bound to be something on the menu for everyone. 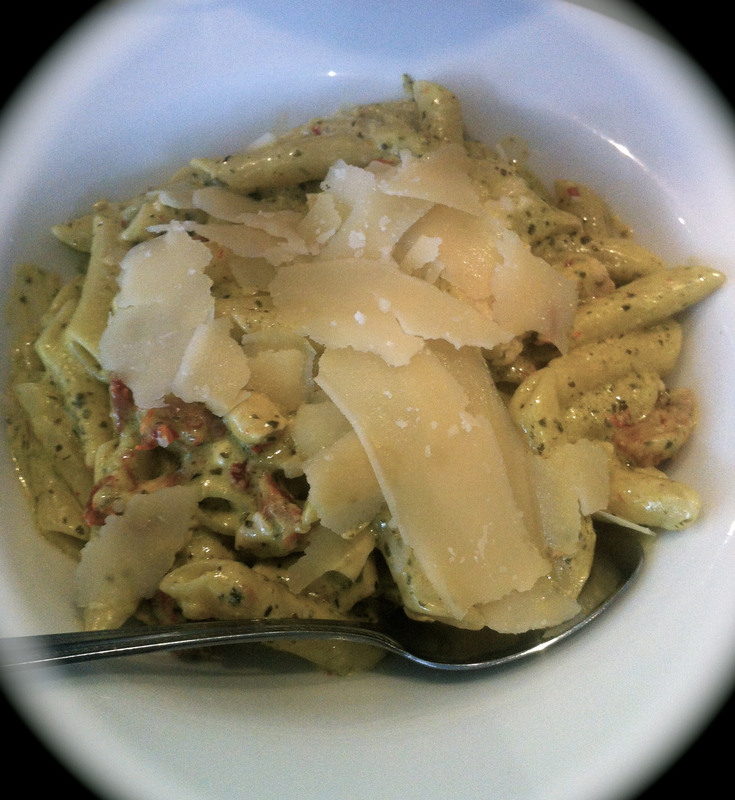 The delicious chicken penne, perfect size, delectable and full of flavour, and that's only the entree size! The well known favourite that we all love, BBQ Meatlovers! Lusso Italian is a licensed restaurant, with a bar inside. The floor staff at Lusso are amazing and they cater to your every need. The service is fantastic and the chefs begin cooking your meals straight away, so you never have to wait too long for your food, even on those Friday and Saturday nights when the place is filled with patrons. This restaurant is a great place to go and I know from many visits for both lunch and dinner, for a whole variety of functions and occasions, that you will not be disappointed with your meal or experience at Lusso Italian. I have not had a bad meal there! Whatever the occasion, Lusso Italian is the perfect place for a lovely lunch with the family, or for a night out with friends. If you're looking for great Italian cuisine, than Lusso Italian at Rouse Hill is perfect! Why? Quality authentic Italian food with a great night out and an awesome atmosphere no matter what the occasion.